I wasn’t sure if I should put Alex Bay in with our vagabond life posts. We always went to Alex Bay when we were home. My family had a cottage there. If we drove home, we could drive straight there. If we flew home, we would ride up with anyone that would go. It’s such a wonderful place. The St Lawrence River is so clear. 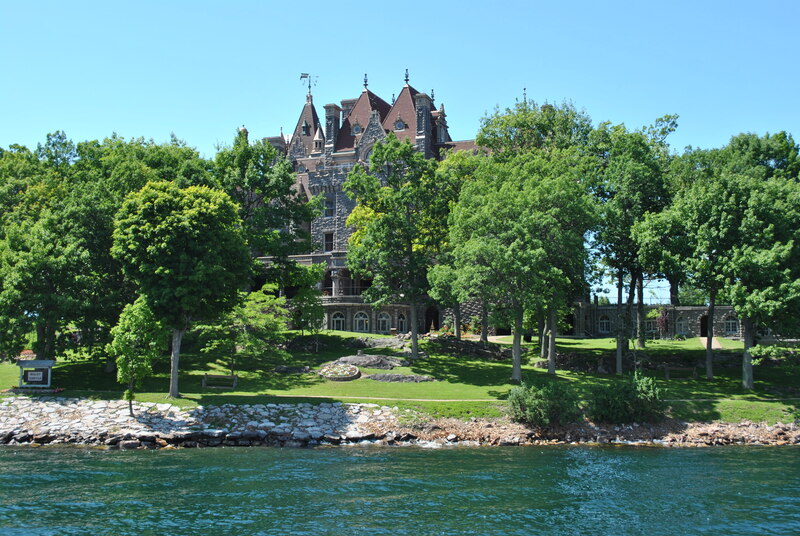 The story of Boldt Castle is so sweet, and sad. The bars are fun and the people are entertaining. And the cottage was one of my favorite places. Enjoying the sun in the front yard. But the locals, and my mother, say that the real story was that she ran away with the help and George was so pissed he stopped construction, left, and never returned. Not nearly as romantic. But regardless of the story, the castle is wonderful. You have to take a boat to Heart Island. 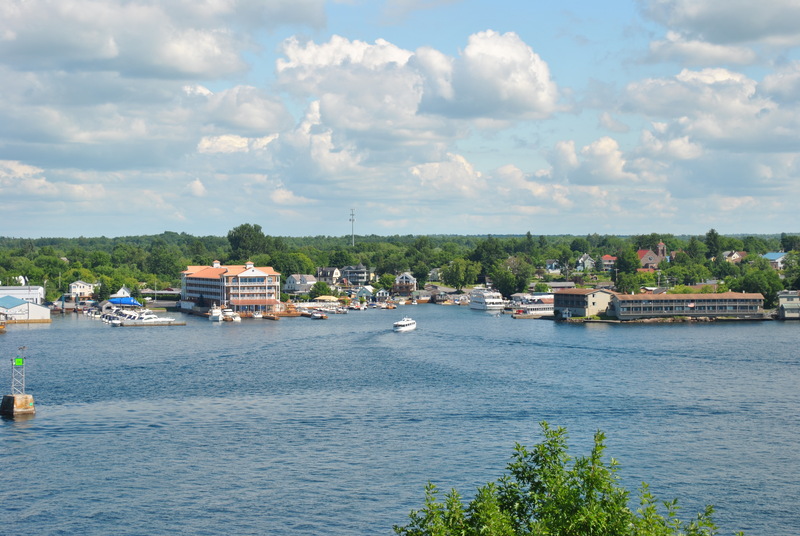 You can take your own boat, take an Uncle Sam’s tour of the bay and get off at Boldt Castle, or take the Uncle Sam boat taxi over. Jenny Wall and me, too hungover to be on a boat but we survived, thanks to the fabulous strawberry daiquiris they have on the boat. Once you get to Boldt Castle, you pay a fee to get in and you can wander as long as you want, until the last boat leaves. (Unless you are life my mother and godmother, then you miss the last boat taxi and have to convince some fishermen to give you a ride back….). 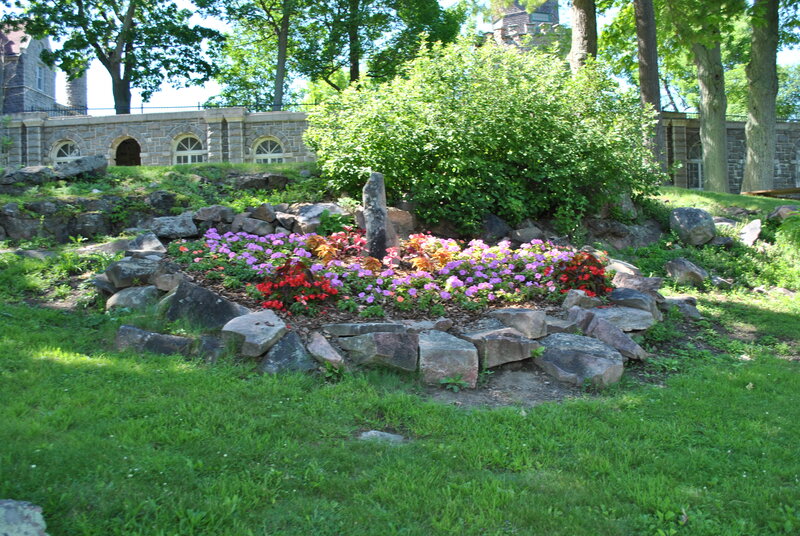 The flowers are perfectly manicured and you could really never set foot inside the castle and still be completely satisfied with your visit. The main entryway for the castle is so grand, you can just imagine socialites arriving on their handcrafted Chris-Crafts and handing their furs and hat boxes to the help. 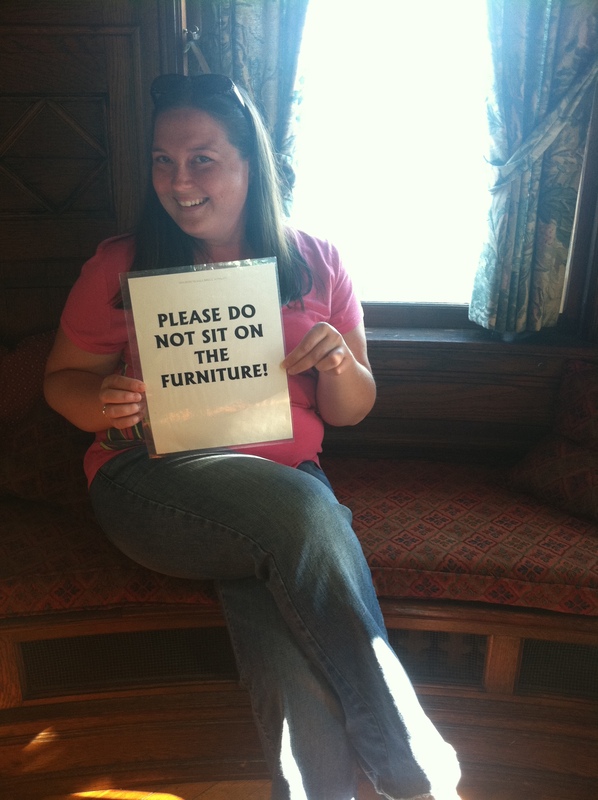 Make sure you follow all the rules about touching Boldt Castle; the security is very tight…..
Erin being Erin. I think she likes to be spanked. 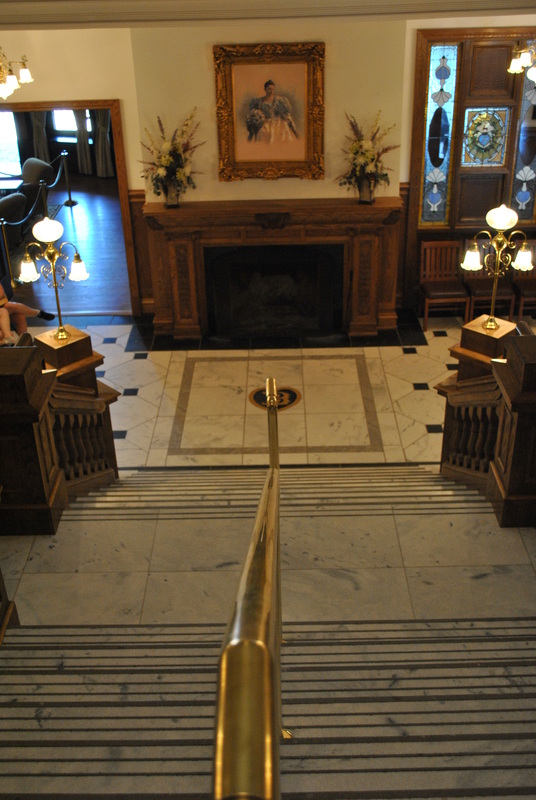 You can walk upstairs a few flights, as well as go through the main level of the castle. 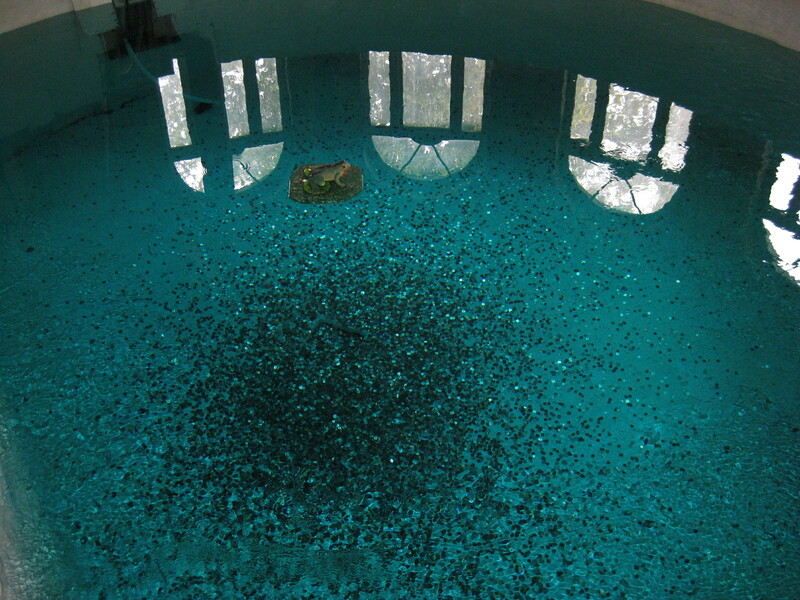 But my favorite area is the “basement.” The pool is so freaking cool. When you finally make it to the top floor you are rewarded with a spectacular view of the 1,000 Islands. 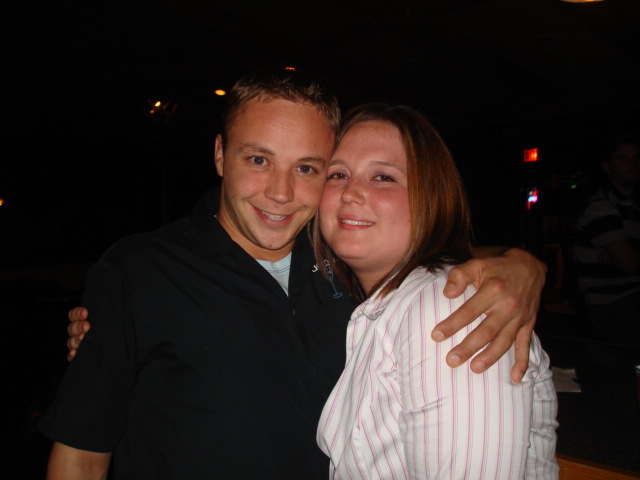 Sometimes you can even catch the Husband in a romantic moment…. 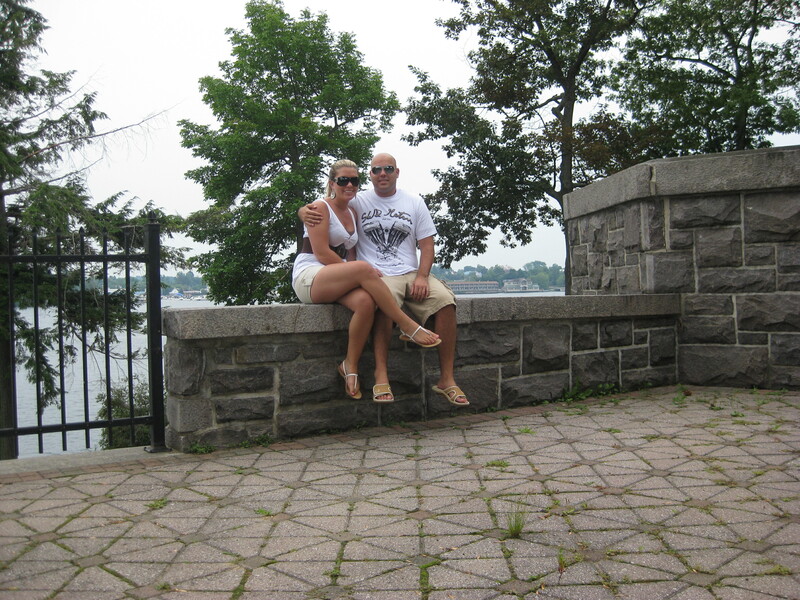 The Husband and me on his first (and only) visit to Boldt Castle. 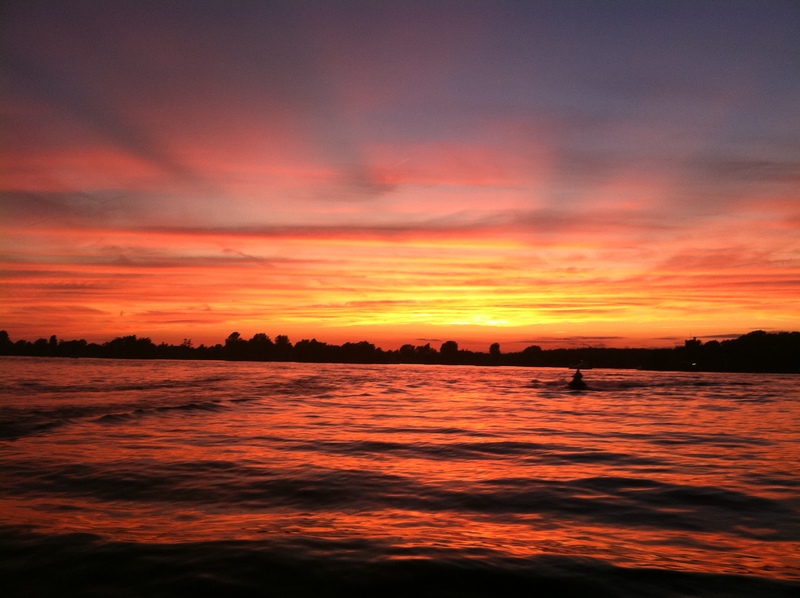 And as you ride away in the sunset, you are blessed with this phenomenal sky…. So when you get back to Alex Bay, return to wherever you are staying and get ready. Put your face and heels on and get ready for some fun. 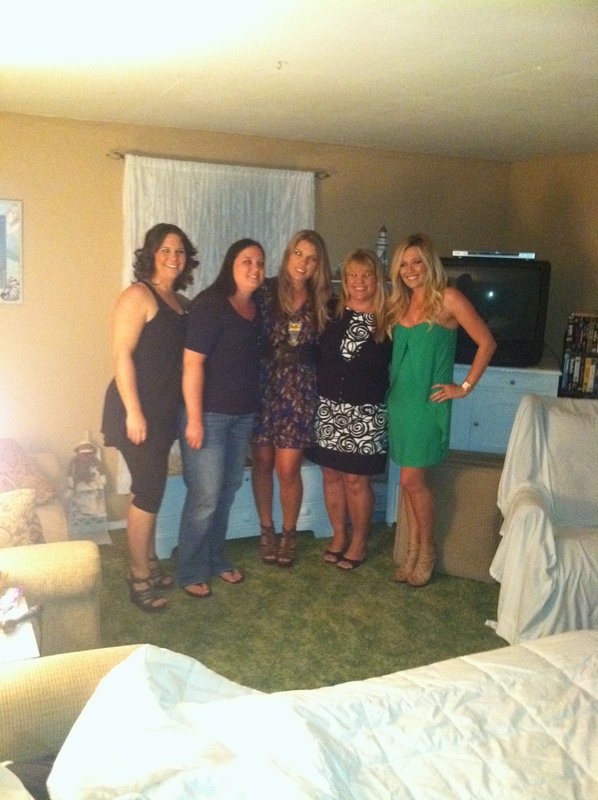 All the girls ready to paint the town red! The club in Alex Bay, “Downtown” has girls dancing in cages. Seriously. And while you’re at Downtown, be sure to visit the bartenders Big Daddy and Little Daddy. But don’t challenge Big Daddy to a beer slamming contest. He WILL win. Every time. Hands down the best drink slammer in the history of the world. And don’t lay a hand on Little Daddy, or Erin will come find you! The next day, head to Rumrunners at Bonnie Castle and have a mudslide. Best mudslide ever and a great view of Boldt Castle! 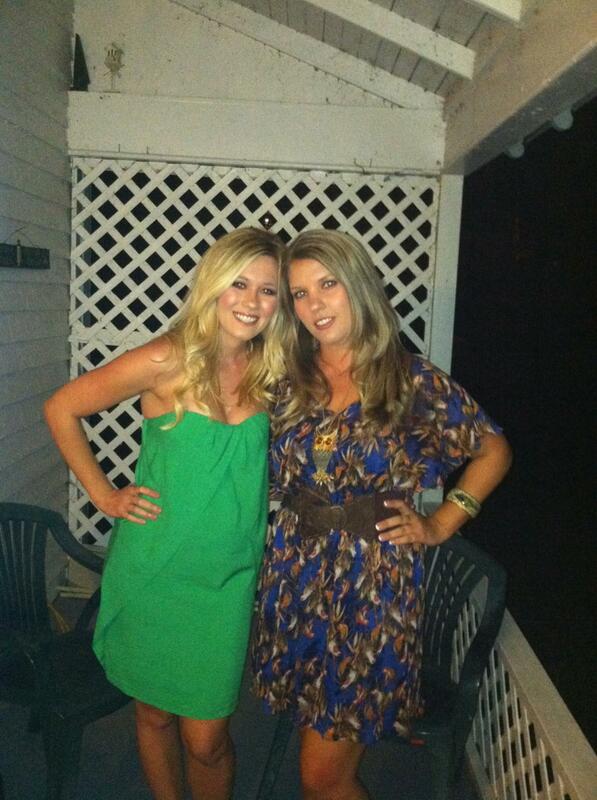 Mom and me at Rumrunners. I could go on and one about Alex Bay. It is seriously one of my favorite places ever. A place where good friends became co-conspirators and where friends met husbands. A place where pizza trails were left and people who don’t drink got hungover. And one of the prettiest places on Earth.